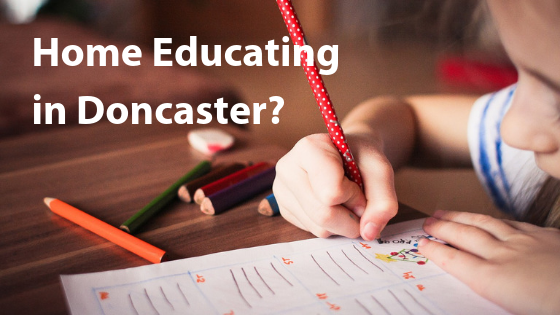 If you are a private tutor in Doncaster and you would like to be listed here, or you are a parent who can recommend a private tutor, please message me via the contact form below and help me update this page. Tutorful are the UK’s fastest growing tuition marketplace, allowing you to compare, review and book from thousands of tutors in over 300 subjects. Message tutors in your area and take lessons in person or online, at times that suit you. Whether your child is struggling, aiming for an A or needs a challenge we can help. Each student is provided with an individual study programme. At Kip Mcgrath Doncaster West we understand the many and varied challenges children and young people can face on their learning journey. We’re passionate about education and believe that quality learning takes place when we take time to understand the student’s needs – that is what we do best at Kip McGrath. Kip Mcgrath West is run by Stephanie Dyke, who has been a Teacher for 16 years. They offer tuition for primary and secondary students in English and Maths. They are Ofsted registered, this means that if you are entitled to Working Tax Credits you can claim up to 70% off your tuition fees.If you receive childcare vouchers as part of your salary, you can use these for your child’s tutoring. Primary Tuition for children aged 4-11 in full time education or being home educated. Can help with Year 1 phonics screening, year 2 SATS, year 6 SATS preparation. Also tutors in maths and SPAG. Tuition available through school hours, after school, holiday tuition and also weekends. Doncaster based tuition service led by fully qualified DBS registered teachers. Whether you are a school, teacher, business, employee, student or parent, the Exam Fairy will tailor a solution to propel you forward. They offer a range of services for the Education Industry, Companies and Employers, Students and Parents. One to One Tuition – In your home, library or in their office, they offer tuition/coaching covering English Language, Literature and Literacy teaching. Covering Key Stages 1 through to 5. Home Education Groups – Small group sessions in centres throughout South Yorkshire covering KS2-KS4. These sessions cover the syllabus for IGCSE English, however individual students undertaking other exams are catered for. Fun, personalised Maths and English tutoring for Primary aged children. Daytime and weekend spaces available. Dyslexia Advice & Assessments, School and Workplace Training, English, Maths & Study Support, Tuition and Workshops, DSA & Exam Access Assessments, Local & National Support.